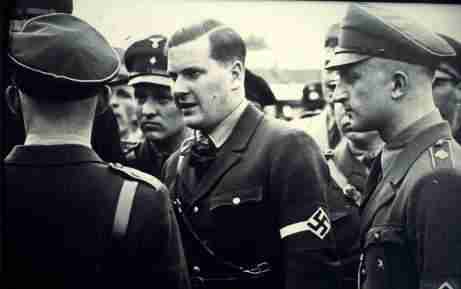 1907 Birth: Baldur von Schirach: Nazi youth leader later convicted of being a war criminal. 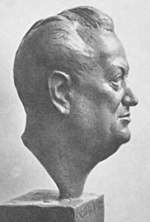 Schirach was the head of the Hitler-Jugend (HJ, Hitler Youth) and Gauleiter and Reichsstatthalter ("Imperial Governor") of Vienna. 1912 Birth: Per Imerslund: born in Kristiania, Norway, one of the most prominent figures in the National Socialist scene in the pre-World War II Norway. His blond, blue-eyed stature and extravagant way of life gave him the position of "det ariske idol" (The aryan idol). A loathing of his homosexuality and self-perceived feminine traits, led him to frequently risk his life. He lived most of his childhood in Mexico and Germany, fought with the Sturmabteilung in Berlin in the 1930's, fought with the fascist Falange in the Spanish Civil War, and finally joined Hitler's Waffen-SS to fight in Ukraine and Finland, where he was severely injured. On this day in 1915, Anglo-French forces fighting in World War I launch their first combined attempt to break through the heavily fortified German trench lines on the Western Front in France. At Vimy Ridge, a strategically important crest of land on the Aisne River, in northwestern France, French troops launched an attack on German positions after firing shrapnel shells for five hours on the morning of May 9, 1915. On the heels of the artillery barrage, the French soldiers left their trenches to advance across No Man's Land, only to find that the bombardment had failed to break the first German wire. As they struggled to cut the wire themselves, German machine gunners opened fire. Eventually, the French were able to reach their objective, as the Germans withdrew to better lines, but they suffered heavy casualties: one regiment of the French Foreign Legion lost nearly 2,000 of its 3,000 soldiers, including its commanding officer, who was shot in the chest by a sniper, and all three battalion commanders. After the first British assault failed to break the German line, many of the soldiers who had crossed into No Man's Land and been injured by enemy fire were killed by a follow-up British artillery barrage lasting 40 minutes. British troops running back to their own lines came under German fire as they ran; as they had a number of German prisoners with them, soldiers in the British trenches mistakenly believed they were facing a counter-attack, and also fired on their retreating comrades. Despite the initial failure, Haig ordered a second attack, disregarding reports from air reconnaissance of a steady forward movement of German reinforcements. Two of his three subordinate commanders protested, including General James Willcocks, commander of the Indian Corps, and General Hubert Gough, commander of the 7th division, who reported to Haig his certainty of any further attempt to attack by daylight being a failure. Only one commander, General Richard Haking of the 1st Division, felt confident of the success of a further assault, and Haig accepted his judgment. List Regiment: Gefreiter Adolf Hitler's 16 Reserve Infantry Regiment occupy a position, at Fromelles, which is on a level field with water channels, willow trees and willow stalks, in the distance towards the enemy lines lie an insignificant wood with barbed wire entanglements. Under the direction of their defense-minded commander, Lieutenant General Gustav Scanzoni von Lichtenfels, the regiment works ceaselessly day and night in the subsequent weeks, to further fortify their position at Fromelles. 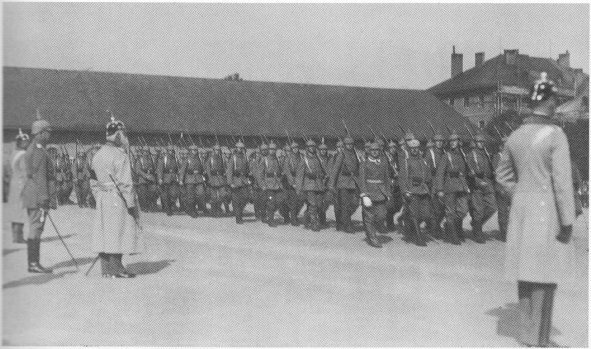 1920 Polish-Soviet War: The Polish army under General Edward Rydz-Smigly celebrates their capture of Kiev with a victory parade on Khreschatyk. This is the story of The White Rose. It is a lesson in dissent. It is a tale of courage, of principle, of honor. It is detailed in three booksThe White Rose (1970) by Inge Scholl, A Noble Treason (1979) by Richard Hanser, and An Honourable Defeat (1994) by Anton Gill. Hans and Sophie Scholl were German teenagers in the 1930s. 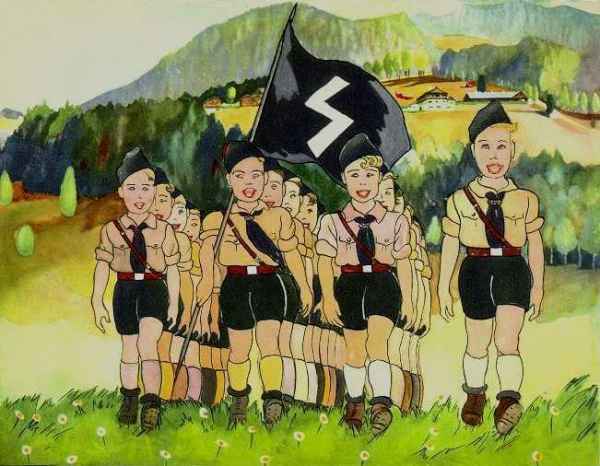 Like other young Germans, they enthusiastically joined the Hitler Youth. They believed that Adolf Hitler was leading Germany and the German people back to greatness. Their parents were not so enthusiastic. Their father, Robert Scholl, told his children that Hitler and the Nazis were leading Germany down a road of destruction. 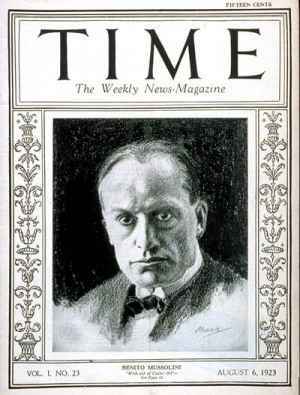 Later, in 1942, he would serve time in a Nazi prison for telling his secretary: "The war! It is already lost. This Hitler is God's scourge on mankind, and if the war doesn't end soon the Russians will be sitting in Berlin." Gradually, Hans and Sophie began realizing that their father was right. They concluded that, in the name of freedom and the greater good of the German nation, Hitler and the Nazis were enslaving and destroying the German people. They also knew that open dissent was impossible in Nazi Germany, especially after the start of World War II. Most Germans took the traditional position, that once war breaks out, it is the duty of the citizen to support the troops by supporting the government. But Hans and Sophie Scholl believed differently. They believed that it was the duty of a citizen, even in times of war, to stand up against an evil regime, especially when it is sending hundreds of thousands of its citizens to their deaths. The Scholl siblings [Hans Scholl (left), Sophie Scholl (center)—Munich, Germany—1942] began sharing their feelings with a few of their friends, Christoph Probst (right), Alexander Schmorell, Willi Graf, as well as with Kurt Huber, their psychology and philosophy professor. One day in 1942, copies of a leaflet entitled "The White Rose" suddenly appeared at the University of Munich. The leaflet contained an anonymous essay that said that the Nazi system had slowly imprisoned the German people and was now destroying them. The Nazi regime had turned evil. It was time, the essay said, for Germans to rise up and resist the tyranny of their own government. At the bottom of the essay, the following request appeared: "Please make as many copies of this leaflet as you can and distribute them." The leaflet caused a tremendous stir among the student body. It was the first time that internal dissent against the Nazi regime had surfaced in Germany. The essay had been secretly written and distributed by Hans Scholl and his friends. Another leaflet appeared soon afterward. And then another. And another. 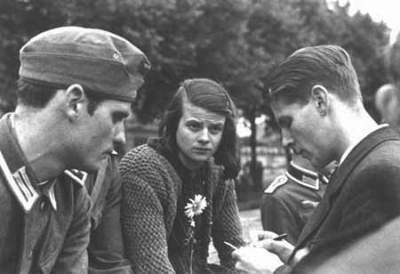 Ultimately, there were six leaflets published and distributed by Hans and Sophie Scholl and their friends, four under the title "The White Rose" and two under the title "Leaflets of the Resistance." Their publication took place periodically between 1942 and 1943, interrupted for a few months when Hans and his friends were temporarily sent to the Eastern Front to fight against the Russians. The members of The White Rose, of course, had to act cautiously. The Nazi regime maintained an iron grip over German society. Internal dissent was quickly and efficiently smashed by the Gestapo. Hans and Sophie Scholl and their friends knew what would happen to them if they were caught. People began receiving copies of the leaflets in the mail. Students at the University of Hamburg began copying and distributing them. Copies began turning up in different parts of Germany and Austria. 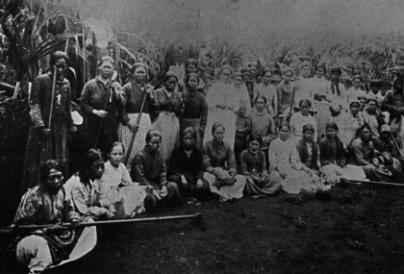 Moreover, as Hanser points out, the members of The White Rose did not limit themselves to leaflets. Graffiti began appearing in large letters on streets and buildings all over Munich: "Down with Hitler! . . . . Hitler the Mass Murderer!" and "Freiheit! . . . . Freiheit! . . . . Freedom! . . . . Freedom!" The Gestapo was driven into a frenzy. It knew that the authors were having to procure large quantities of paper, envelopes, and postage. It knew that they were using a duplicating machine. But despite the Gestapo's best efforts, it was unable to catch the perpetrators. One day, February 18, 1943, Hans' and Sophie's luck ran out. They were caught leaving pamphlets at the University of Munich and were arrested. A search disclosed evidence of Christoph Probst's participation, and he too was soon arrested. The three of them were indicted for treason. On February 22, four days after their arrest, their trial began. 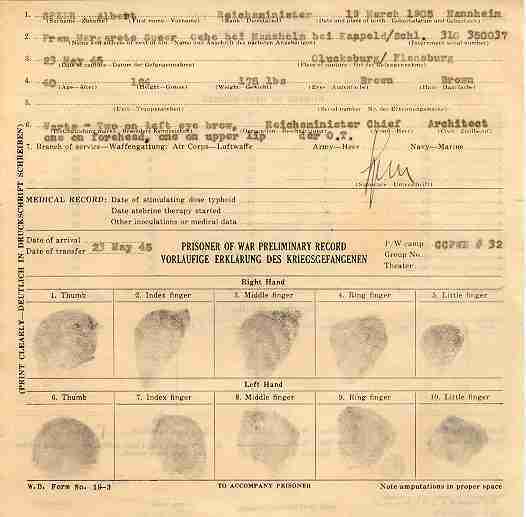 The presiding judge, Roland Freisler, chief justice of the People's Court of the Greater German Reich, had been sent from Berlin. 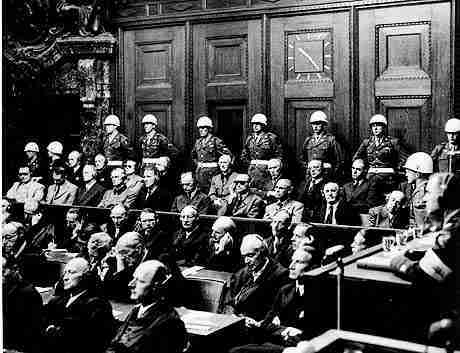 Hansen writes: He conducted the trial as if the future of the Reich were indeed at stake. He roared denunciations of the accused as if he were not the judge but the prosecutor. He behaved alternately like an actor ranting through an overwritten role in an implausible melodrama and a Grand Inquisitor calling down eternal damnation on the heads of the three irredeemable heretics before him. . . . . No witnesses were called, since the defendants had admitted everything. The proceedings consisted almost entirely of Roland Freisler's denunciation and abuse, punctuated from time to time by half-hearted offerings from the court-appointed defense attorneys, one of whom summed up his case with the observation, "I can only say fiat justitia. Let justice be done." By which he meant: Let the accused get what they deserve. Sophie Scholl shocked everyone in the courtroom when she remarked to Freisler: "Somebody, after all, had to make a start. What we wrote and said is also believed by many others. They just don't dare to express themselves as we did." Later in the proceedings, she said to him: "You know the war is lost. Why don't you have the courage to face it?" In the middle of the trial, Robert and Magdalene Scholl tried to enter the courtroom. Magdalene said to the guard: "But I'm the mother of two of the accused." The guard responded: "You should have brought them up better." Robert Scholl forced his way into the courtroom and told the court that he was there to defend his children. He was seized and forcibly escorted outside. The entire courtroom heard him shout: "One day there will be another kind of justice! One day they will go down in history!" Robert Freisler pronounced his judgment on the three defendants: Guilty of treason. Their sentence: Death. 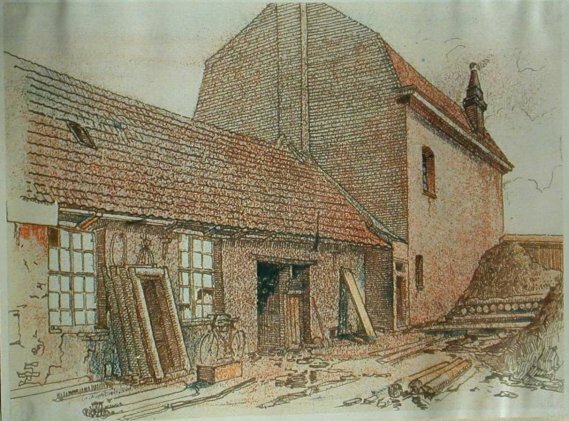 They were escorted back to Stadelheim prison, where the guards permitted Hans and Sophie to have one last visit with their parents. Hans met with them first, and then Sophie. His eyes were clear and steady and he showed no sign of dejection or despair. He thanked his parents again for the love and warmth they had given him and he asked them to convey his affection and regard to a number of friends, whom he named. Here, for a moment, tears threatened, and he turned away to spare his parents the pain of seeing them. Facing them again, his shoulders were back and he smiled. . . . .
Then a woman prison guard brought in Sophie. . . . . Her mother tentatively offered her some candy, which Hans had declined. "Gladly," said Sophie, taking it. "After all, I haven't had any lunch!" She, too, looked somehow smaller, as if drawn together, but her face was clear and her smile was fresh and unforced, with something in it that her parents read as triumph. "Sophie, Sophie," her mother murmured, as if to herself. "To think you'll never be coming through the door again!" Sophie's smile was gentle. "Ah, Mother," she said. "Those few little years . . . " Sophie Scholl looked at her parents and was strong in her pride and certainty. "We took everything upon ourselves," she said. "What we did will cause waves." Her mother spoke again: "Sophie," she said softly, "Remember Jesus." "Yes," replied Sophie earnestly, almost commandingly, "but you, too." She left them, her parents, Robert and Magdalene Scholl, with her face still lit by the smile they loved so well and would never see again. She was perfectly composed as she was led away. Robert Mohr [a Gestapo official], who had come out to the prison on business of his own, saw her in her cell immediately afterwards, and she was crying. It was the first time Robert Mohr had seen her in tears, and she apologized. "I have just said good-bye to my parents," she said. "You understand . . . . " She had not cried before her parents. For them she had smiled. No relatives visited Christoph Probst. His wife, who had just had their third child, was in the hospital. Neither she nor any members of his family even knew that he was on trial or that he had been sentenced to death. While his faith in God had always been deep and unwavering, he had never committed to a certain faith. On the eve of his death, a Catholic priest admitted him into the church in articulo mortis, at the point of death. "Now," he said, "my death will be easy and joyful." Hans Scholl and his sister Sophie, along with their best friend, Christoph Probst, were scheduled to be executed by Nazi officials that afternoon. The prison guards were so impressed with the calm and bravery of the prisoners in the face of impending death that they violated regulations by permitting them to meet together one last time. Hans, a medical student at the University of Munich, was 24. Sophie, a student, was 21. Christoph, a medical student, was 22. Sophie was then led to the guillotine. One observer described her as she walked to her death: Without turning a hair, without flinching . . . .
Today, every German knows the story of The White Rose. A square at the University of Munich is named after Hans and Sophie Scholl. And there are streets, squares, and schools all over Germany named for the members of The White Rose. The German movie The White Rose is now found in video stores in Germany and the United States. 1933 Burning of the Books: In May 1933, the Nazi party decreed that any book, "which acts subversively on our future or strikes at the root of German thought, the German home and the driving forces of our people . . . " was to be burnt. Students carrying banners toured the streets, rifling libraries, synagogues, and private homes. Works of philosophers, rationalists, poets, and internationally acclaimed authors, which had until then formed part of universal studies, were thrown into the flames. Some of the authors targeted in the book burning campaign are listed below. Albert Einstein, Havelock Ellis, Lion Feuchtwanger, Sigmund Freud, André Gide, Franz Kafka, Erich Kästner, Hellen Keller, Alfred Kerr, Jack London, Heinrich Mann, Thomas Mann, Karl Marx, Hugo Preuss, Marcel Proust, Walter Rathenau, Erich Maria Remarque, Margaret Sanger, Arthur Schnitzler, Upton Sinclair, Jakob Wasserman, H. G. Wells, Stefan Zweig, Emile Zola. 1934 Italy: Mussolini creates the Italian Corporate State. The Hindenburg Zeppelin arrives at Lakehurst, NJ, marking the beginning of regular commercial service across the Atlantic from Germany. The flight took 61-hr 38-min, carrying 51 passengers and 56 crew. Churchill urges a military alliance with the USSR. The Counselor of the Russian Embassy, Astakhov, called on me this afternoon in order to introduce to me the Tass representative, Filipov, who had just arrived. He began with the statement that he was happy that Herr Filipov could start his work under new conditions which were completely different from the past. The recently practiced reserve of the German press toward Soviet Russia had already attracted the attention of the foreign press. I for my part remarked that at the present time one could not talk about a corresponding Russian reserve toward Germany, and pointed out the latest broadcasts of the Moscow Radio. 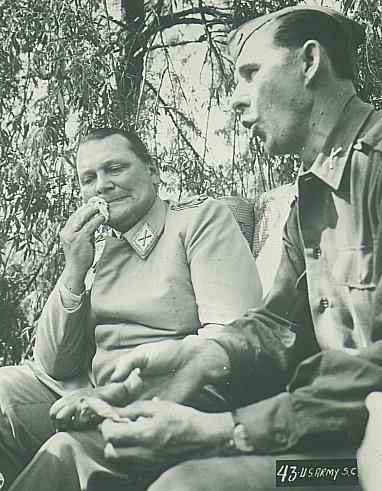 To this, Herr Astakhov remarked that Moscow apparently was still rather suspicious because, of course, they did not yet know how this reserve was to be interpreted, which was, after all, possibly only a short-lived tactical maneuver. At any rate, the Soviet Russians would be only too happy if such fears were unjustified. Asked about the significance of the change in the direction of foreign affairs in Moscow, Herr Astakhov declared that previously it had, after all, not been a question of a personal policy of Litvinov, but of compliance with general principles. Therefore, for the time being one could not speak of a reorientation of policy, particularly since Soviet Russian policy depended on that of the others and not least on that of Germany. War at Sea: The German submarine U-9 sinks French coastal submarine Doris near Den Helder. U-9 conducted 19 patrols under a series of commanders, sinking eight ships totaling 17,221 tons and damaging others displacing 412 tons. The Battle of the Atlantic fiercely raged. German U-boats roared up and down the seas, sinking British convoys with impunity. It was the Royal Navy's darkest hour, with the control of the Atlantic very much in doubt. Fortunately, the destroyers HMS Bulldog and HMS Broadway, together with the British corvette HMS Aubretia, managed to capture the U-110 off the coast of Iceland. The capture of an intact U-boat and, more importantly, the recovery of its Enigma machine, was a turning point in the Battle of the Atlantic, and World War II. After U-110 was launched on 25th August 1940, Kapitänleutnant Fritz Julius Lemp.commanded the U-110 through its training period, and, from 1st March 1941, in combat operations. The U-110 sank three ships, and damaged another two, before its fateful capture on 9th May 1941. On that day, U-110 and U-201 were attacking a convoy near Iceland. Lemp left his periscope up slightly too long, and lookouts on HMS Aubretia spotted the tell-tale wake. Aubretia immediately rushed towards U-110, forcing Lemp to dive, while. Aubretia started to drop depth charges. U-110 survived this first attack, but HMS Bulldog and HMS Broadway joined the fray at this juncture, damaging U-110, and forcing it to surface. The captain of HMS Bulldog then tried to ram the U-boat. Lemp concluded that his ship would be rammed and sunk, and issued the order to abandon ship. When cornered, U-boat captains normally scuttled their ships, rather than letting them fall into the hands of the Allies. Much to the dismay of Lemp and his crew, Bulldog managed to avoid sinking the U-boat. Because Lemp believed that his boat would be sunk, he had not ordered his crew to scuttle the ship. When he realized his mistake, he tried to swim back. Accounts vary at this point, some claiming Lemp was spotted while making his way back to U-110, and was shot by British sailors. Others claim that Lemp joined fourteen other German seamen below the waves, while the remaining thirteen crew-members were captured. The British made several trips to U-110, ransacking it completely, before starting to tow it back to Britain. Along the way they realized they had claimed one of the most important prizes of the war: a complete and un-sabotaged Enigma machine, along with Lemp's secret papers. 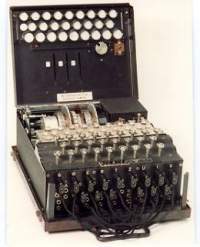 British intelligence realised that if word of the U-boat's capture got out, the Germans would change all their Enigma machines, updating their cryptography to ensure that their communications remained secret. The order went out to the British convoy to scuttle the U-boat, rather than bring it back to port, and so U-110 was sunk in the Atlantic. With an intact Enigma device, the tide turned. The Enigma machine was taken to Bletchley Park in Buckinghamshire. Code-named ULTRA, Bletchley Park was the nerve center for code breaking and cryptography in the UK. Alan Turing, father of the digital computer, worked with a team of cryptographers and code-breakers, and eventually broke the Enigma's cipher. It was the turning point of the Battle of the Atlantic. Having broken the Enigma's cipher, the British were able to eavesdrop on all the Kriegsmarine's communications to the U-boat fleet. (Extracted from The Enigma of U-110 by FinancePortal). Yugoslavia: Belgrade becomes the first Axis-conquered city to murder or eliminate its Jewish population, largely with the help of Serbian collaborators. The naiveté, not to mention ignorance, with which certain European circles see the Jewish Question in the fourth year of this gigantic struggle is astonishing. They cannot or will not see that this war is a war of the Jewish race and its subject people against Western culture and civilization. Everything that we Germans and Europeans—defenders of the principle of a moral world order—hold dear, is at risk. The above-mentioned circles are too inclined to see the Jewish Question as a humanitarian issue. They make their judgments on the feelings of the moment rather than on the knowledge and insight resulting from clear and calm reason. It is clear that if during this war we show the least weakening of our determination to resolve the Jewish Question, the result will be the gravest danger to our people and Reich, and all of Europe. Jewry wanted this war. I thank you with all my heart for your friendly congratulations on the unconditional surrender of Hitler Germany. The peoples of the Soviet Union greatly appreciate the part played by the friendly American people in this liberation war. The joint effort of the Soviet, US, and British Armed Forces against the German invaders, which has culminated in the latter's complete rout and defeat, will go down in history as a model military alliance between our peoples. On behalf of the Soviet people and Government I beg you to convey my warmest greetings and congratulations on the occasion of this great victory to the American people and the gallant US Armed Forces. VE Day: Soviet Union: It is celebrated in the successor states to the Soviet Union on May 9, because when the German Instrument of Surrender was signed (in the midnight), it was already May 9 in the USSR and Eastern Europe. The US, UK and most western European countries mark Victory in Europe Day on May 8. Italy: King Victor Emmanuel is forced to formally abdicate in his favor of his son, Prince Humbert. He will serve as the last King of Italy until June 12, 1946. Kranzbuhler: In the course of all these actions did any of the U-boat commanders who were subordinate to you voice objections to the manner in which the U-boats operated? Kranzbuhler: What would you have done with a commander who refused to carry out the instructions for U-boat warfare? Maxwell-Fyfe's cross-examination of Doenitz, which began early on 9 May and took up most of the following day, was not one of his more successful or impressive pieces of work at Nuremberg. ' The Times' correspondent claimed to notice an 'unfamiliar edge of severity' in Maxwell-Fyfe's voice and wondered if it came from emotional response to the huge loss of life in the war at sea suffered by his Liverpool constituents. More probably it came from ill-ease with the task he had to perform. What is observable in the trial transcript is a very different approach from his usual manner: much more hesitance in use of tactics, less readiness to follow up points and infinitely less confident mastery of the subject matter than when dealing with other defendants. It must have occurred to him that in tackling Doenitz and Kranzbuhler, two naval experts in a technical and detailed case, he could not try to bamboozle by implying more knowledge than he possessed—the other two would all too easily outgun him, however careful his preparatory work . . . .
By the time Doenitz left the witness box he may not have won sympathy—he would have scorned the attempt—but he had not conceded any points to the prosecution . . . . Dean, who had not been convinced even by Doenitz's evidence on the Laconia Incident, let alone over such charges as the use of concentration camp labor and the renunciation of the Geneva Convention, still could not put his finger on any particular lie or unanswered allegation. He seems to have been judging not on the evidence but with the instinctive dislike and mistrust of Doenitz which so many observers felt. Whatever Dean's personal suspicions about the Doenitz case, he reported that 'there is no doubt that it will be more difficult to demonstrate his guilt than that of the majority of the other defendants.' He summed him up as a 'formidable opponent and typical Nazi' and believed he would be convicted, and rightly so. 1950 European Unity: French Foreign Minister Robert Schuman proposes the creation of a supranational European federation to strengthen the European economies. 'The Schuman Declaration', as it will become known, will eventually lead to the creation of the European Economic Community, now the European Union. "Europe will not be made all at once, or according to a single plan. It will be built through concrete achievements which first create a de facto solidarity." 1976 Death: Ulrike Meinhof: German revolutionist: found hanged by a rope fashioned from a towel, in her cell in the Stammheim Prison. It is suspected that her death is self-inflicted and this verdict of suicide will be confirmed later through further enquiries. 1995 VE Day: 50 years on: World leaders mark the 50th anniversary of the end of World War II in Europe with three days of emotional Victory Day celebrations and ringing calls for global reconciliation.